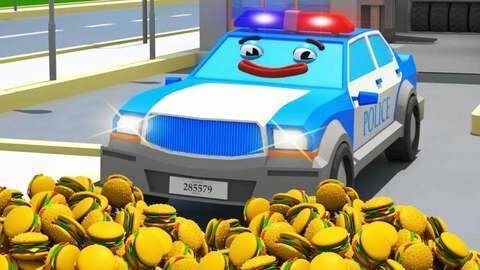 The Police car accidentally swallows a burger and has hiccups in this 3D car cartoon for toddlers. He tries to get rid of the hiccups by going to the gas station but fails. .Finally, Excavator and Fire Truck helped get rid of the hiccups with water. More free popular car cartoons are waiting for you at SeeZisKids.com so visit their website today.